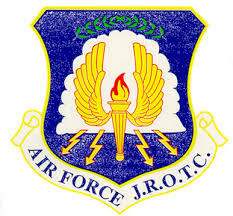 I attended the 2016 Stall High School Air Force JROTC Awards Ceremony on Friday 15 April 2016 at 0900 hours. I was most impressed as I walked into the school building to hear the public address system announce that students should prepare for the Pledge of Allegiance and the National Anthem to be broadcast. The principal came in and introduced himself to the presenters and explained that Stall High School did this every Friday morning. The ceremony started promptly at 0900 with the presentation of the colors and a JROTC cadet sang the National Anthem. LtCol Lonnie D. Ford, Senior Instructor explained that the student chain of command was in charge of the ceremony and they did all the work in preparation and presentation of the event. A 2011 Stall High School JROTC cadet who graduated from Columbia College after Stall was the guest speaker. She related some memories of her time as a cadet and what those meant to her as she transitioned from high school student to college student to the working world. After the Cadet Commander announced the awarding of the Honor Flight I presented our two awards. Cadet Colonel DaQuan Brown received the MOAA Medal & Certificate. An outstanding cadet and student, he works very hard to keep the Flight at a high level of readiness. He also works two jobs after school. Cadet Lieutenant Colonel Orenthal Green received the Outstanding Cadet Award and the $50 check. In talking with LtCol Ford after the ceremony, he said the JROTC unit comprises about 25% of the student body. They actually have to turn prospective cadets away due to classroom limitations. Thank you for the opportunity to attend this event and present the MOAA awards.